Senate President Pro Tem John Campbell said he received a weighty call Monday asking him to ensure passage of legislation mandating paid sick leave. According to Campbell, it was Jerry Abramson, director of inter-governmental affairs for President Barack Obama, on the line. Campbell said Abramson told him that paid sick leave is a priority for the president. “He told me the president is watching this bill and would love to see it pass,” the pro tem said. The bill, which would require employers to provide at least three days of paid sick leave once they've worked at least 1,400 hours, passed the House last week. It is pending in the Senate Rules Committee because it missed the legislature’s deadline for bills to pass from one chamber to the other. 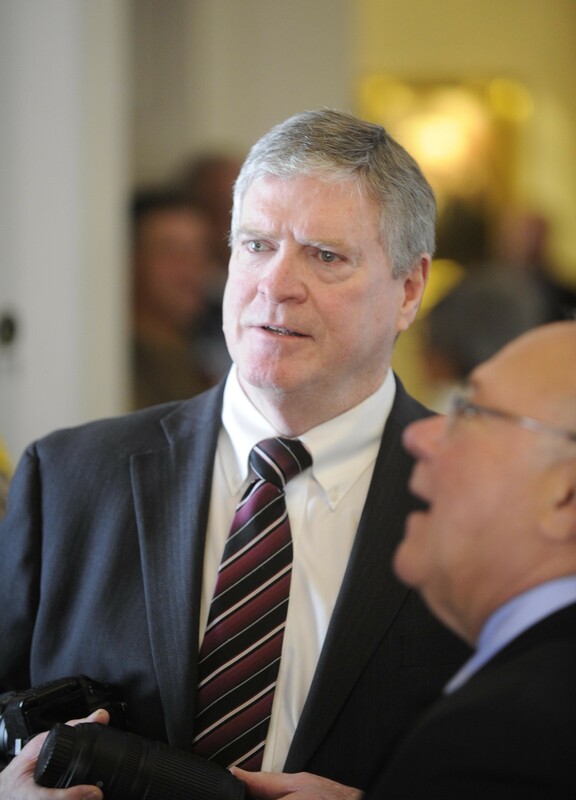 Campbell was impressed by the call, he said, but told Abramson there isn’t enough time left in the legislative session for the Senate to consider the bill. “The problem is we only have a couple weeks left. It would be extremely difficult to give it a full hearing,” Campbell said. He added that the Senate would consider the bill next year. The power of the call seemed to resonate, though. "It's impressive when you get a call from the White House. I still wish it would've been from him," Campbell said, referring to President Obama.